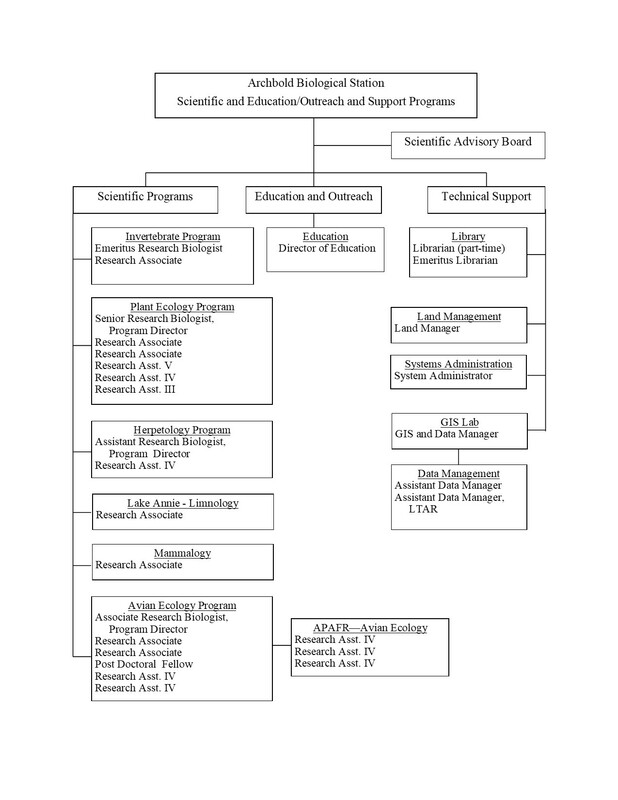 Archbold employs about 50-60 personnel, of whom 60% are science staff, in a series of divisions for scientific programs (Fig. 1). Other staff includes administrative support (N=7), kitchen, land management and maintenance crews (N=11). The Station has no formal association with a university or other research facility other than a Memorandum of Understanding covering collaboration at BIR with University of Florida, state and federal agencies. Research staff holds faculty appointments at several Florida universities. The Controller reports to the Executive Director, has open access to the Treasurer, provides quarterly financial reports to the Executive Director and the Board of Trustees, and directly supervises the accounting department. The Human Resources/Risk Management Administrator reports to the Executive Director and is responsible for human resources related issues and acts as the administrator of all legal issues related to the Station. HR\RM also supervises non-research staff, which includes housekeeping and food service, and visitor accommodations. 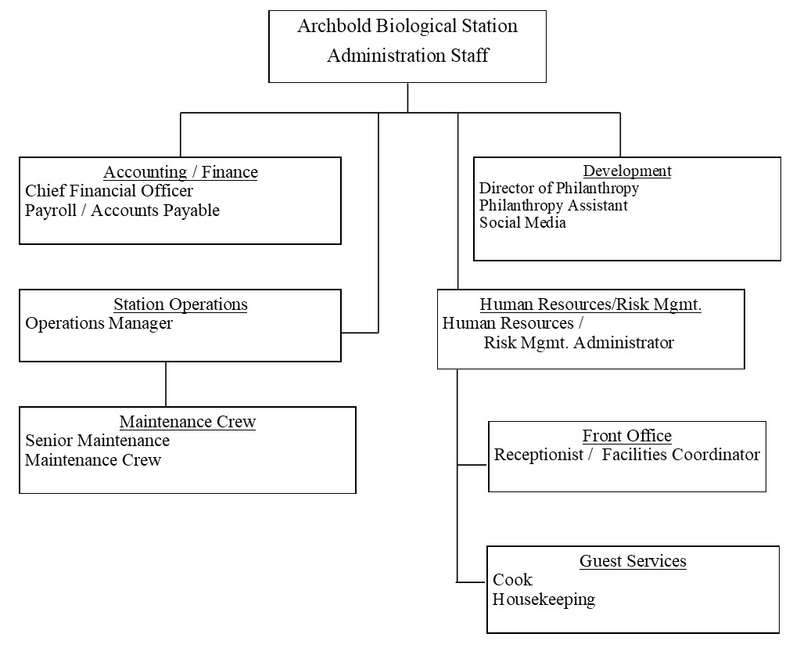 The Operations Manager reports to the Executive Director and directly supervises non-research operations of the Station, including building and grounds maintenance.